Enjoy the best inspirational, motivational, positive, funny and famous quotes by Anna Thomas. Use words and picture quotations to push forward and inspire you keep going in life! 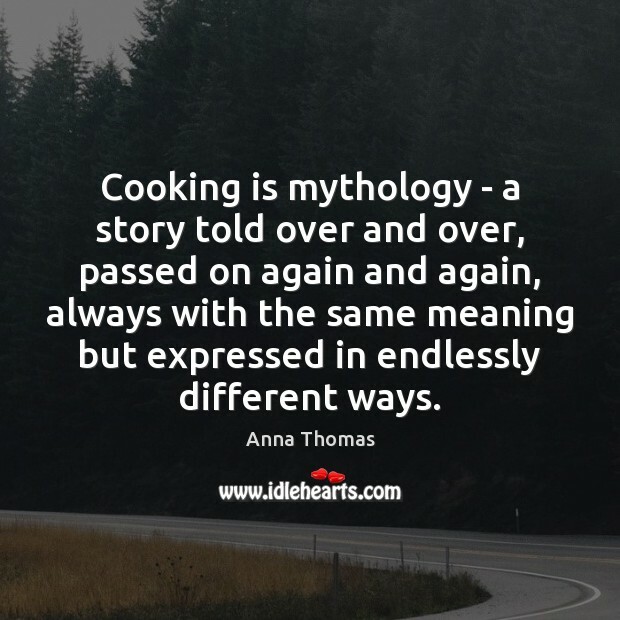 Cooking is mythology - a story told over and over, passed on again and again, always with the same meaning but expressed in endlessly different ways. if there ever was a time for sentimentality and traditional merrymaking, one that has transcended religious orientation, Christmas must be that time. 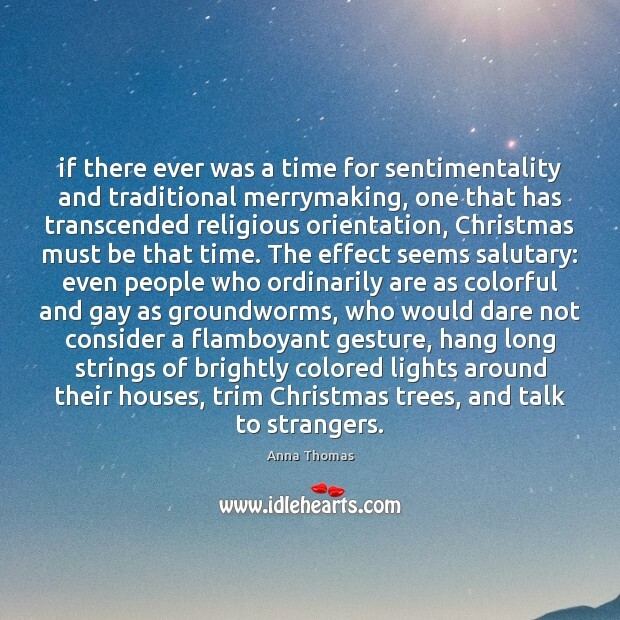 The effect seems salutary: even people who ordinarily are as colorful and gay as groundworms, who would dare not consider a flamboyant gesture, hang long strings of brightly colored lights around their houses, trim Christmas trees, and talk to strangers. 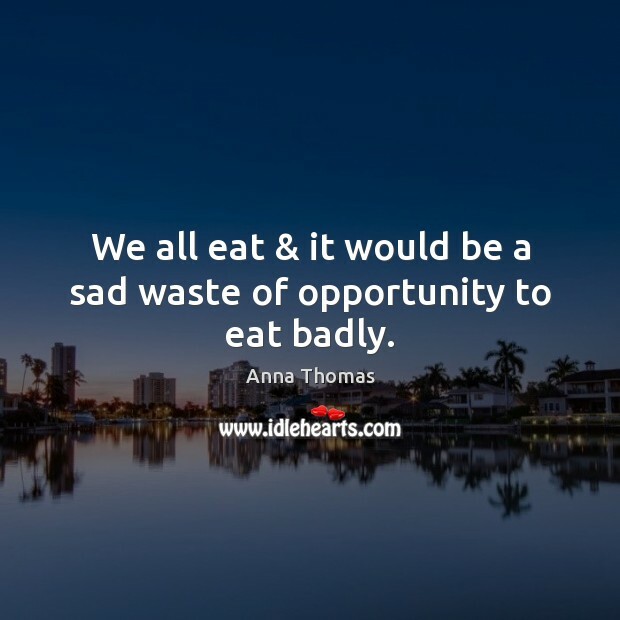 We all eat & it would be a sad waste of opportunity to eat badly. 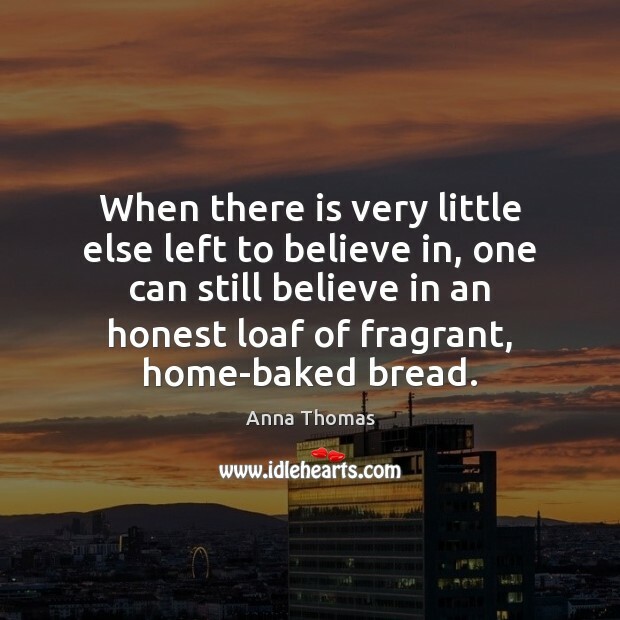 When there is very little else left to believe in, one can still believe in an honest loaf of fragrant, home-baked bread. 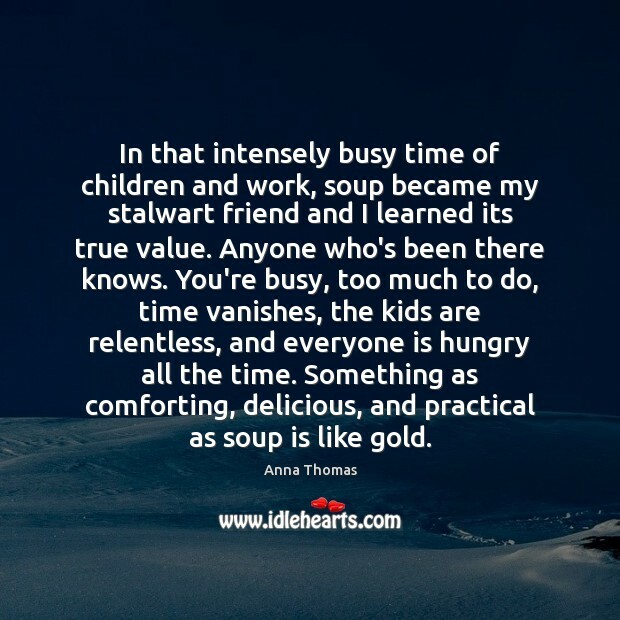 In that intensely busy time of children and work, soup became my stalwart friend and I learned its true value. Anyone who's been there knows. You're busy, too much to do, time vanishes, the kids are relentless, and everyone is hungry all the time. Something as comforting, delicious, and practical as soup is like gold. 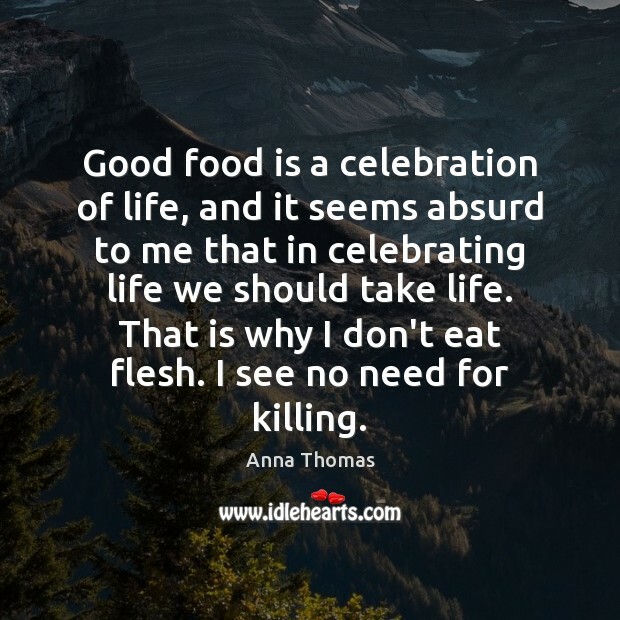 Good food is a celebration of life, and it seems absurd to me that in celebrating life we should take life. That is why I don't eat flesh. I see no need for killing. Food binds us to our roots as strongly as any song or poem. 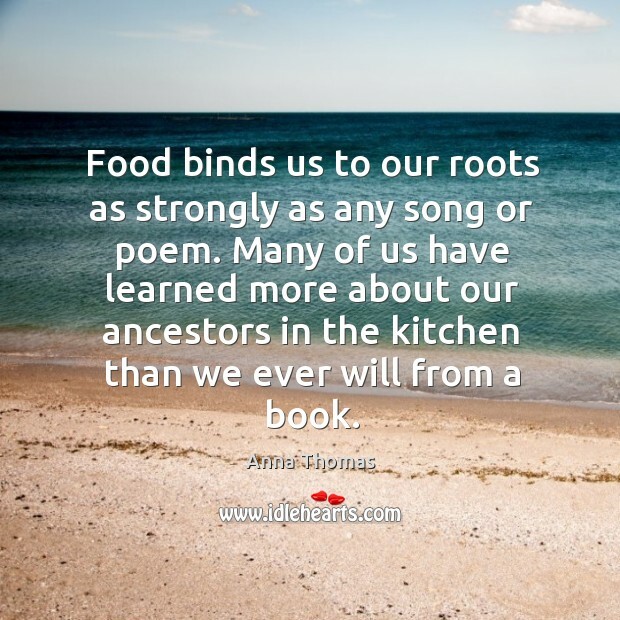 Many of us have learned more about our ancestors in the kitchen than we ever will from a book.